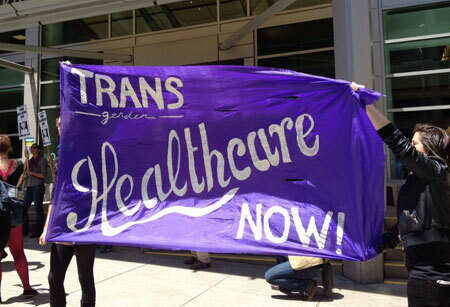 Transgender Minnesotans who receive public insurance now qualify for coverage of transition-related health care, after a Minnesota judge ruled the state’s 11-year ban on transgender coverage unconstitutional, the Star Tribune reports. With the help of ACLU of Minnesota and OutFront Minnesota, 64-year-old trans man Evan Thomas sued the Department of Human Services for the right to have his top surgery covered by Medical Assistance. Not only did his doctor deem the double mastectomy medically necessary treatment for gender dysphoria, Thomas’s efforts to alleviate the dysphoria by binding led to chest infections and acute bronchitis. Any argument that the statute is justified because it ‘saves money’ relies on illegitimate means to achieve that purpose. It deprives a small class of individuals, admittedly the subject of every conceivable form of discrimination, from medically necessary treatment for the assumed purpose of saving a de minimis portion of the state budget. To assume that such a distinction is [anything] other than “arbitrary and capricious” is to ignore the right to equal protection under the law. The Department of Human Services said in a Wednesday statement that decision will help bring Minnesota into compliance with new Affordable Care Act regulation requiring states to cover surgeries by January. It had argued that the case was moot because of those very rules, but Judge Leary noted that it is unclear whether those federal policies will remain. Ultimately, the ruling returns Minnesota to an earlier precedent. Think Progress notes that in 1977, the Minnesota Supreme Court ruled that Medical Assistance must cover transition-related surgeries. After a decade of incomplete efforts, the legislature banned surgical coverage for transgender people in 2005. Thomas told the Star Tribune his surgery is planned for this month.